When it comes to drawing comics, there are some high quality pens on the market. A lot of the pens that are used are for anime and manga characters, but the nibs on these pens are ideal for those that enjoy making comics, as well. When I was using a lower quality pen to draw up the comics I was doing, I was not able to get the most from the pens since it is not something that did the job. I decided that it was time to do something about the pens that I do use. I went through and was able to come up with some of the best pens for drawing comics with, and though many of them are meant for some other types of drawings, they can be quite versatile when it comes to working with the right nib and ink. 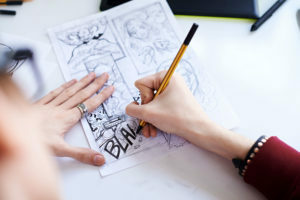 Choose to go with the right pens for the occasion when it comes down to using pens for drawing comics, and choose one of the ones recommended on this list. They won’t let you down!